Olivia and the Creepy Crawlies are an award-winning six-piece folkpop band formed in London, Ontario who currently reside in Toronto ON. Their quirky songs will tug at your heartstrings with themes of love and loss, and tickle your imagination with mad kings, super-villains, and literary lovers. Wielding anything from ukuleles to glockenspiels, they are sure to entertain all of your whimsical fantasies and put words in your mouth to sing a long. Founded in East Toronto in 2012, The Old Salts have grown from the melodic and lyrical guitar duo of James da Mota and Devin Staple to a high-powered 6-piece roots-rock outfit. Da Mota's whiskey-and-cigarettes baritone and Staple's sweeping, singing lead guitar is enhanced by crunchy harmonica, frenetic mandolin and a rhythm section right out of Big Pink. With a devoted following, known affectionately as the Bourbonite Regrets Society of Toronto, they've gone on to mount three tours of Eastern Canada, regularly light up audiences at CMW and NXNE and share stages with The Strumbellas, The Wooden Sky, Murder By Death, Ladies of the Canyon, Larry and His Flask, and Devin Cuddy among others. With Syndey Galbraith in the producer's seat, The Old Salts spent most of 2016 writing and recording a brand new batch of songs and experimenting with new sounds and textures. The first results of these sessions, showcasing both a roots/Canadiana songwriting lineage as well as an adventurous approach to structure and texture, will come to light in mid-2017 as the band prepares for the release of the follow-up to their hard-hitting 2014 album. We're young, dumb and full of alternative hooks with pop punk sensibilities. Originally reigning from Huron County, the band mostly resides in Toronto and is looking to make great strides with our second full length entitled, "Until We're Each Someone Else." Taking the time to ensure a mature sophomore release, the band has spent their fair share of time dealing with the angst and anxious feelings of growing up, being forced to move on, understanding internal struggles and most importantly being there for one another. While the lyrical content addresses the concerns and realities of isolation, the musicality reflects a strong sense of comradery. We may be stuck out here, but we're stuck out here together. What started as the brain baby of London's folk sweetheart Taylor Holden, emerged Averages - a soda pop rock and rollin band. Pairing up ridiculous anecdotes with important stories (see: drinking milkshakes, destroying the patriarchy), Averages intertwine everything with infectious melodies that'll stick to your brain like the gum on your shoes. Whether their frontwoman is travelling through the audience or dancing the night away on stage, they captivate audiences with an energetic live set that balances wild highs with sweet, soft lows. The modern-day troubadours haven taken their sporadic live show across Canada, opening for bands like Finger 11 and showcasing at renowned festivals like Halifax Pop Explosion and Summerfolk. At their core, Averages are a little bit wild and a little bit weird. And whether there's one or one thousand people in the crowd - Everyone is invited to join them. Sick of dark green? Well you should try Brighter Green! 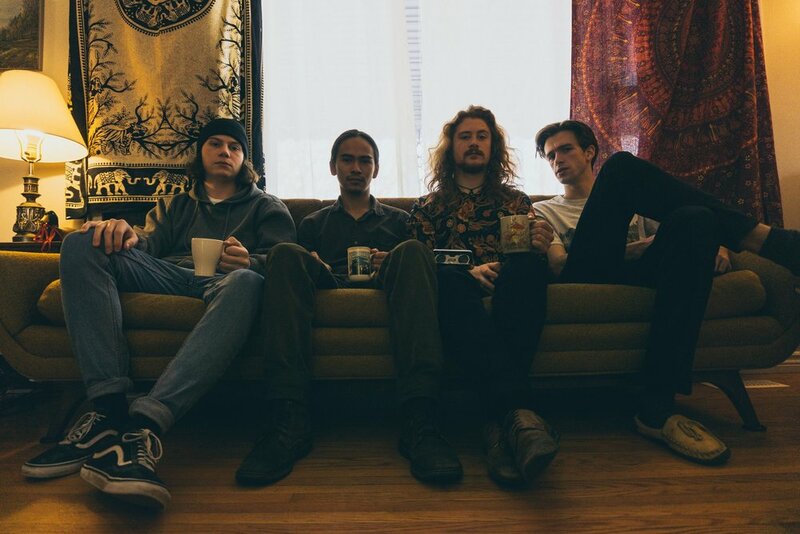 Hailing from London, Ontario, the high energy Indie Rock band, Brighter Green, delivers right to your very ear, eye and heart bones the perfect mix of vibrant, passionate and hard hitting music that will get even the least boppiest of boppers boppin’! Try Brighter Green, because it’s satisfying. The Cedar Sisters – Jane Carmichael and Elle Hermansen – met when both were brought in as backup singers for a local rock band. The two songwriters felt an instant personal and musical connection, and soon after began writing together. Carmichael and Hermansen are sisters in spirit, if not in fact. They share remarkably similar stories, both on and off the stage. 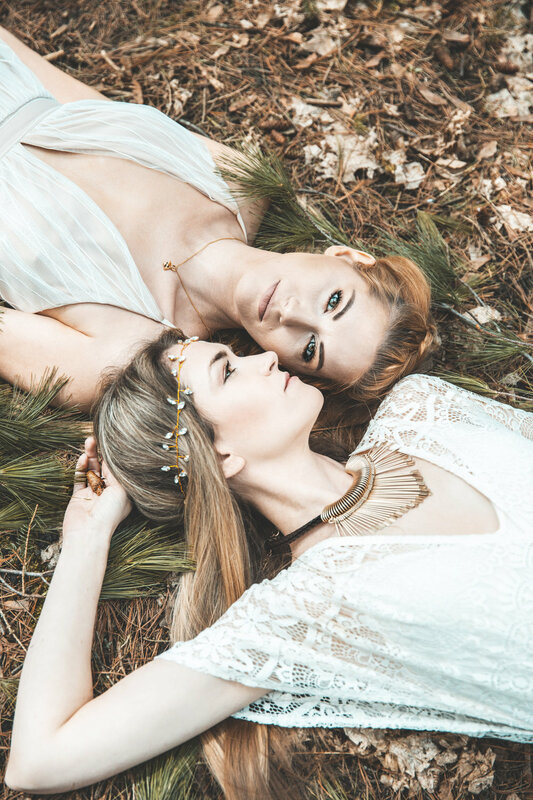 Both were involved in pop bands that “almost” got signed, both released solo albums after those bands fell apart, both have endured ups and downs in the music business, and both suffer from endometriosis. They even have the same middle name. It’s no surprise, then, that they sing so beautifully together. The Cedar Sisters use their similarities and their differences to create a sound that they affectionately refer to as “electro-folk pop”– the perfect marriage of Carmichael’s folk sensibility and Hermansen’s electronic vibe. Their music is haunting, atmospheric, and emotionally intense. Inspired by artists like Stevie Nicks, Kate Bush, the Traveling Wilburys, and First Aid Kit, folk elements with a distinct 80s pop overtone shine through their music. The Cedar Sisters release their self-titled debut EP this summer.